Sintech NGFF M.2 BM Key SSD to SATA 3 Adapter Card Case with USB 3.0 SATA Cable by Sintech at Pacs BG. MPN: LYSB00MCE20X2-CMPTRACCS. Hurry! Limited time offer. Offer valid only while supplies last. ST5104 NGFF M.2 SSD to SATA adapter with case, It enables using of NGFF M.2 SSD as a direct replacement for the 2.5''HDD in the laptop or desktop. 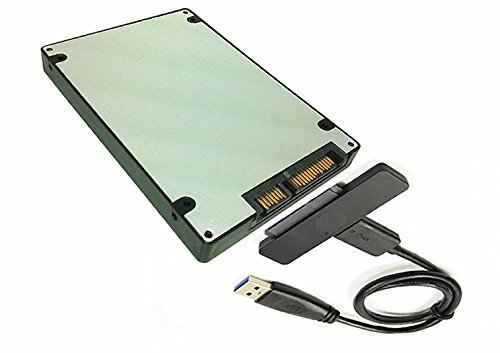 ST5104 NGFF M.2 SSD to SATA adapter with case, It enables using of NGFF M.2 SSD as a direct replacement for the 2.5"HDD in the laptop or desktop. Once installed, the NGFF M.2 SSD behaves like the 2.5"HDD with low power consumption, fast access time and completely shock resistant. it also can work as USB 3.0 high speed external case.